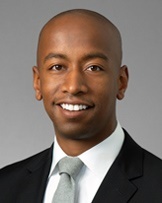 Ernest Simons is an associate in the firm’s Dallas office. He counsels a broad range of clients in connection with regulatory compliance and government enforcement issues in the consumer financial products and services industry. He also advises clients on consumer finance issues relating to the acquisition or sale of companies offering regulated financial products and services. Mr. Simons has helped emerging and traditional payment companies organize their payment systems and enter into agreements while addressing their regulatory and payment card network compliance issues. He has paid particular attention to prepaid, credit, and debit card programs, in addition to state money transmitter licensing laws. Mr. Simons also maintains a corporate and M&A practice, handling purchase agreements, asset acquisitions, and other transactions, as well as corporate governance matters. He is a regular contributor to the FinTech Law Blog, the Consumer Financial Services Watch Blog, and the Delaware Docket.